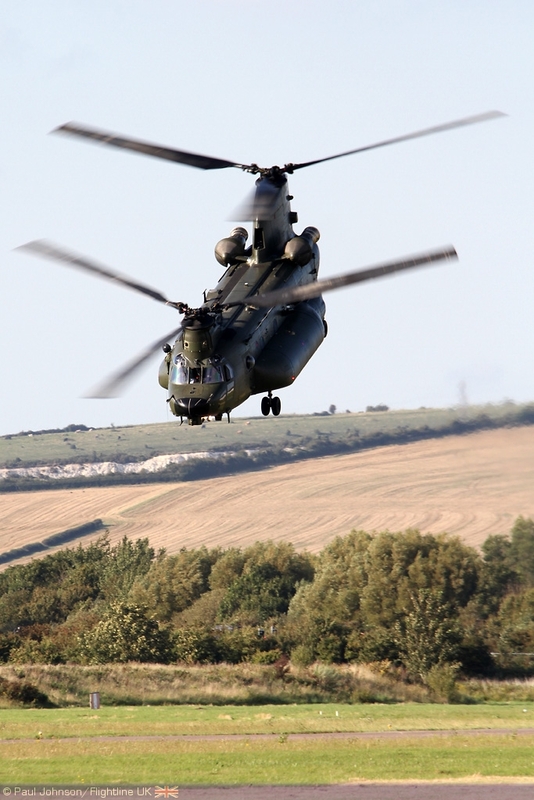 The 2013 RAF Chinook Display Team has been announced. The Team is back after an award winning 2012 season and ready to put on the best display yet. The captain for 2013 will be Flight Lieutenant Paul Farmer. This will be his second year with the Display Team. This year’s Co-Pilot is Flight Lieutenant Gareth Allen, the Display Manager Flight Lieutenant Kyle Thomas and the Rear Crew are Sergeants Andy Caldwell and Steve Jones. The season this year will be made all the more challenging due to the two over water displays. The lack of visual references for the pilots makes the manoeuvres flown far more challenging. The RAF Chinook Display this year will be flown by crew members who have recently served in Afghanistan. Members of the team, made up of personnel from 18 and 27 Squadrons, arrived back from Op Herrick as recently as December 12. ‘We hope that the 2013 display will be viewed as the best yet, really allowing the crew to demonstrate the power and manoeuvrability of the Chinook, something that you might not expect to see from such a large aircraft’.